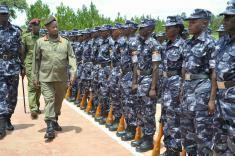 President Yoweri Museveni has today afternoon passed out Police Special Field Force Brigade at Masindi Police training School. The new riot police, part of the first regiment of the Special Brigade Force passed out was trained in public order management, foot and motorised operations, counter-terrorism and Martial Arts. President Yoweri Museveni has cautioned leaders to intensify their efforts in the fight against drugs among the youth, saying it devalues their potential to develop and exposes them to dangerous practices such as alcoholism, sexual promiscuity and HIV/AIDS. President Yoweri Museveni has today passed out 692 police officers of the 1st regiment of the field force unit with a call to them to maintain high discipline, exercise and focus. 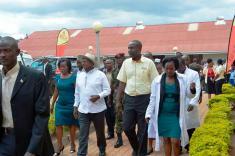 He said a more efficient police force will enhance the overall defence capabilities of Uganda. 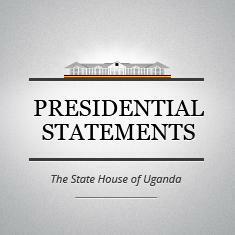 President Museveni’s remarks at the passing of Police Field Force Unit at the Police Training School in Kabalye, Masindi district April 16, 2014. I have this afternoon presided over the pass out of the first regiment of the Police Field Force Unit at the Police Training School in Kabalye, Masindi district. The unit is 692 officer-strong including 51 women.